Rosebud's BBQ Carryout and Catering specializes in hickory smoked meats from whole pigs to the best ribs, chicken, turkey, and beef in the area. From our mouth watering BBQ ribs to our tantalizing smoked hamburgers, our carryout and catering menu includes a wide variety of healthy hickory smoked entrees that are certain to appeal to the most discerning palates. We also provide fried turkeys. Located in Capitol Heights, Maryland, we are conveniently located within minutes of Washington DC for all your carryout and catering needs. Our convenient carryout services include mouth watering BBQ favorites and side dishes. Rosebud's BBQ offers catering for office affairs, family reunions, weddings, and parties of all types and sizes. 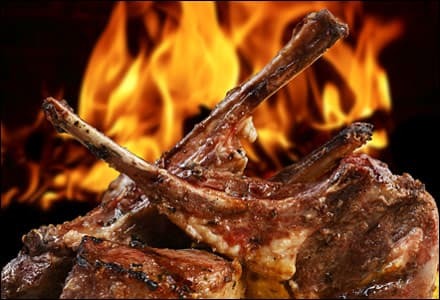 We offer on-site grilling that will tantalize your guests' taste buds.